Let's talk about the elephant in the online world. FOMO. Fear of missing out. If you've been alive for any length of time, you've experienced the phenomenon. And when you work online, no matter what you do, you're probably be going to be face with it more than one. This week, let's talk about that. Let's discuss what it is that FOMO does. Let's talk about it's sister, Shiny Object Syndrome. And then let's beat it. Here's the Quick and Dirty Version. Online business owners are always ALWAYS being sold to. We're being told daily that this course or this program or this social media platform will take our business to the next level. And many times the people that we surround ourselves with will flock to these programs. Sometimes these programs are meant for us. But sometimes they aren't. Sometimes these programs are meant for others and we're meant to take a different path. But it can be hard to take a different path when everyone else is so excited about what they are doing! That's FOMO. FOMO manifests itself in many different ways. You may think that it just may lead to having additional things on your plate to manage but truthfully, fomo and shiny object syndrome will manifest themselves in way that will wreak havoc on your world. It'll to to show as overwhelm. Stress. Procrastination. Burn out. Not to mention the financial loss of things that don't necessarily benefit you. You seriously don't want this in your life. Okay. But how do you beat it? This part isn't too difficult. It just requires practice. If you feel those negative feelings starting to bubble up around a launch or around something everyone else is doing, it's probably fomo. Call it by name. Once you know what you're feeling, it no longer has power over you. Both with yourself and others. If you don't have the time, desire or financial ability to commit to something, just say it! Listen to your heart on that one. Don't try to convince yourself into doing something that ultimately isn't right for you. And do it fast. The last thing you want to do is sit on the fence. This makes it easy for your fomo and shiny object syndrome to get the best of you. Instead, go with your gut instinct right away. If it turns out to be something that would benefit you later, you can always pursue it later. 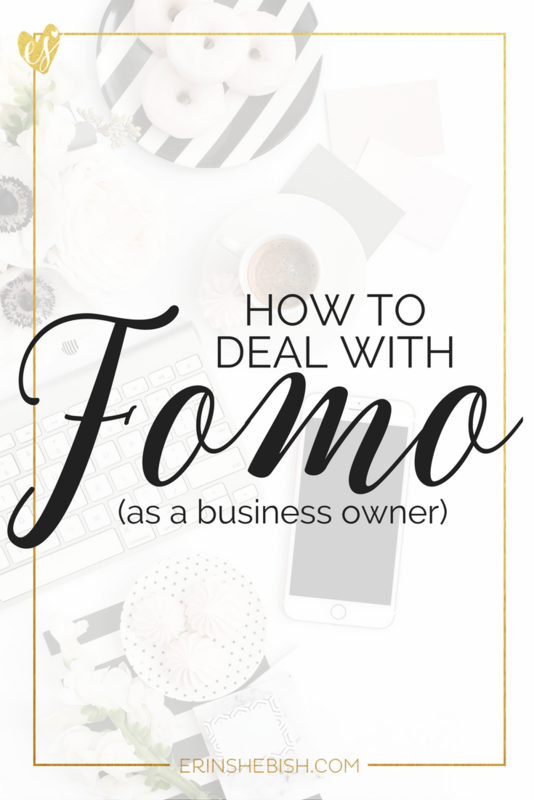 If you're a business owner, you've probably dealt with FOMO. Fear of missing out. But you don't have to let it own you. You can beat FOMO today! And that's all there is to it! That and a little bit of practice. Okay, my friend. That's all for me. Before you go, though, leave me a comment! Let me know about a time you had FOMO and how you dealt with it!